Vale View is a spacious and light suite with stunning views over the Vale of Esthwaite. The room features an inset gas coal effect fire and en suite bathroom with jacuzzi bath and shower over it and it has equally exceptional views. The bathroom is accessed by 6 steps. Vale View sometimes limits bookings to 3 or more days. We could not fault the service, accommodation, cleanliness or the food. Being vegan it is not always easy to find places that cater for our needs, but yewfield did it well. 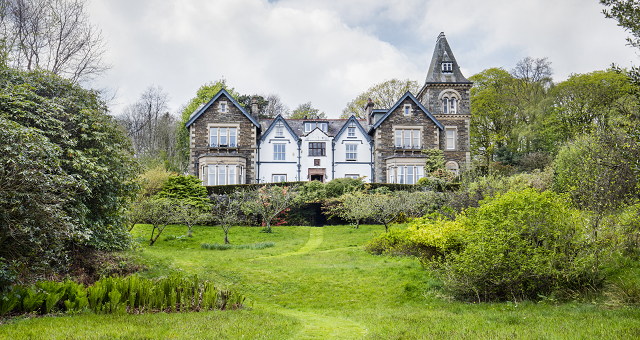 A peaceful and quiet retreat in the heart of the English Lake District. Yewfield is ideally situated for walking and enjoying this exquisite region of rare natural beauty and inspiration of the Lakeland poets. 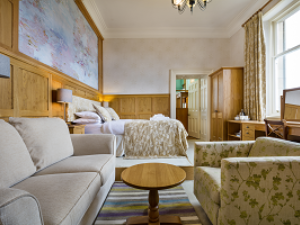 Recently refurbished with assistance from Tourism Connect, Yewfield offers vegetarian bed & breakfast and luxury self catering accommodation for non-smokers. Following the recent refurbishments, Yewfield Vegetarian B&B has been awarded a VisitEngland rating of 5 stars.